2019 MEXICAN 1000 Mileage & Pit Location Maps Available For Immediate Download. 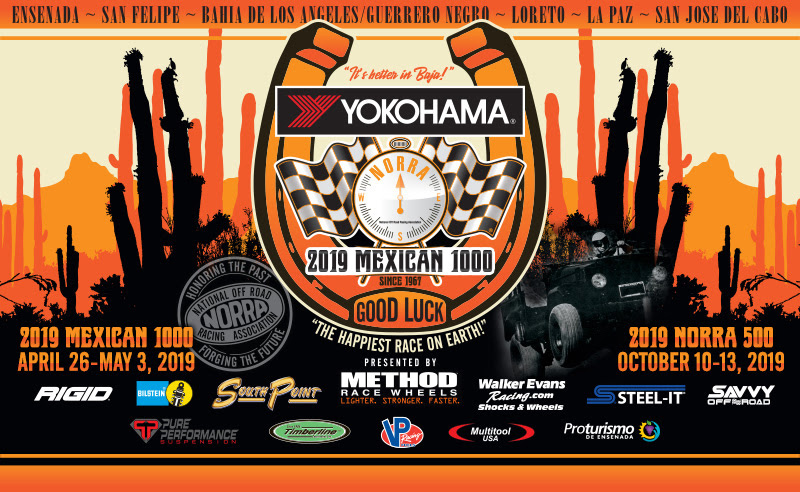 As teams, racers and adventure seekers look forward to the final weeks of preparation before arriving in Ensenada, Baja, Mexico for the start of another chapter in “The Happiest Race on Earth!”, today the National Off Road Racing Association (NORRA) releases its official mileage and pit maps for the 2019 YOKOHAMA NORRA MEXICAN 1000 Presented By METHOD Race WHEELS rally that will eventually find competitors enjoying the world-class beaches and sunshine of San Jose del Cabo at land’s end. 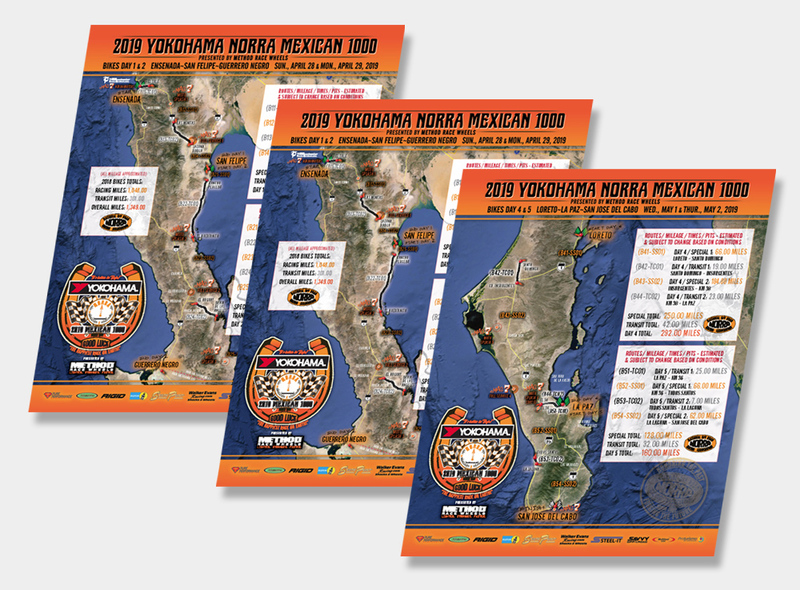 The coveted Mexican 1000 mileage and pits maps are available for NORRA's family of racers to use in refining their support strategies. There is a three page map for both the Cars and the Bikes categories (see below for direct links to the 2019 Official Mileage & Pit maps).